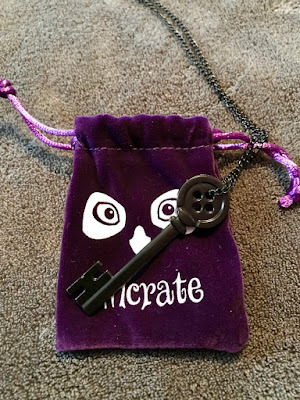 I wasn't too impressed with last months Owl Crate box, save for the book (The Cruel Prince which I've been meaning to read), but this month perked me back up. The theme was Hidden Worlds, so let's get into it! 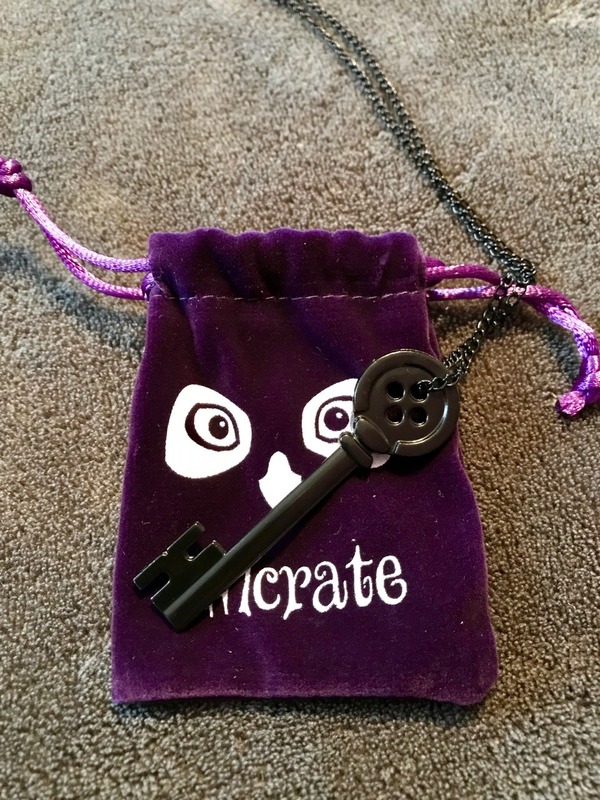 The first thing I picked out was this skeleton key necklace designed by Team OwlCrate and based on the Neil Gaiman story, Coraline. The chain is super long, so it looks sort of silly when I wear it, but it's a great little piece if I ever decide to try and find a doorway to another world. 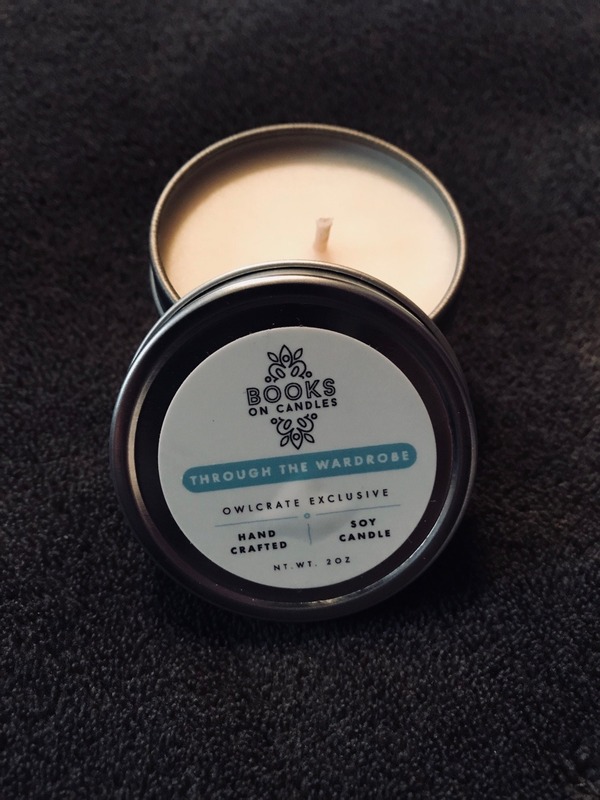 Next was this soy candle created exclusively by Books on Candles called Through the Wardrobe. With hints of pine, mint and vanilla it's supposed to magically transport you to the woods of Narnia. Hopefully, there's no White Witch waiting to offer you a terrible Turkish Delight for betraying your family. I'm lookin' at you Edmund. 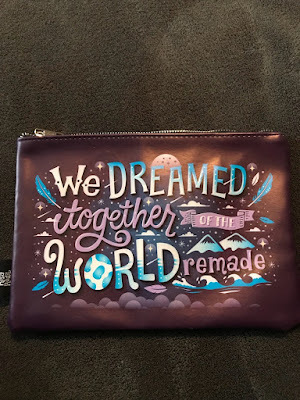 Ooh, you know how much I love a pouch. This one was designed by Risa Rodil and was inspired by Daughter of Smoke and Bone by Laini Taylor. The design is really fun and I love all the little touches that went into it. Also, the 'o' in world reminds me of a Yoshi egg and I'm all about it. How cute is this Alice in Wonderland sticker? It was designed by Naomi Lord, and I'm loving the anime sort of vibe, so I'm pumped to add this to my little sticker collection. 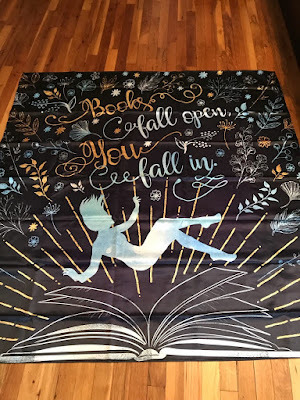 This month they included this lovely wall tapestry by Evie Bookish. It's a really lovely quality and the design itself is gorgeous, it perfectly captures how it feels to just lose yourself in a book. Unfortunately, I have nowhere to put this so I'm hoping I can find someone to pass it along to. First off, how pretty is this cover? I'm absolutely loving the forest green with the gold embellishments, it just works so well together. I also was hoping it would be this book once I heard the theme because I've heard such good things and couldn't wait to get my hands on it. 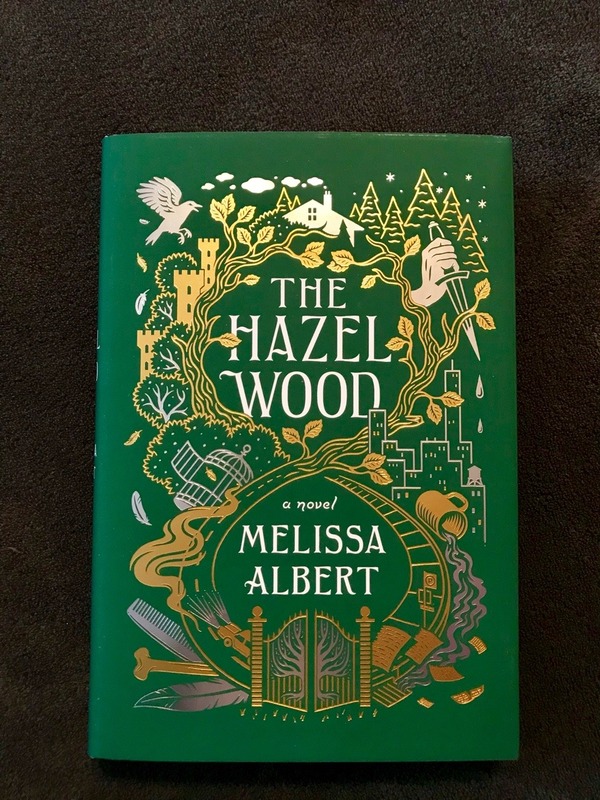 The Hazel Wood centers around Alice and her mother who have spent their whole lives on the run trying to escape the never-ending bad luck that seems to follow them wherever they go. Alice's life seems to go from bad to worse after the death of her estranged grandmother, who just so happens to be the author of a beloved strange collection of dark and twisted fairy tales. Alice's mother is kidnapped by one of the characters from her grandmother's stories, so Alice has no choice but to team up with Ellery Finch, a huge fan of her grandmother's work (with some potential ulterior motives) to help her find her missing mother. 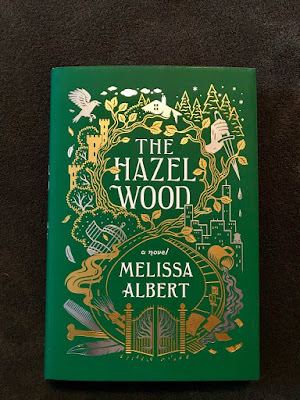 The two of them must journey to the Hazel Wood, her grandmother's mysterious estate in hopes of saving her mother. Has anyone read this yet? If so, lemme know what you thought! Oh, that key is so cute!! 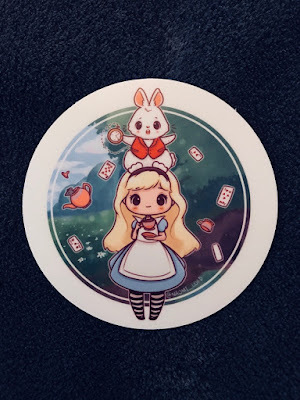 I also think the Alice in Wonderland sticker is very pretty, so kawaii! Kudos for the book! I've heard so much about it and I hope I get to read it, it was actually one of the books I recently featured in my Waiting on Wednesday. I'm about halfway through it now, and so far it's pretty good!